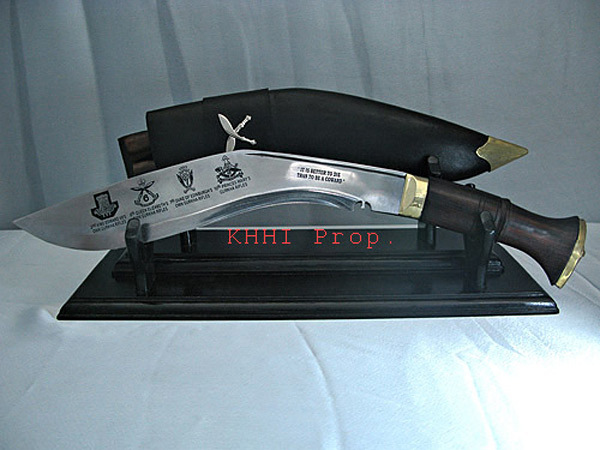 The historic and famous “World War 2” version which is also a very common and renowned kukri in local market and within the Gurkha society, which played a crucial role in making Gurkhas as one of the formidable soldiers of the modern era is now engraved with Regimental insignias (emblems) of the Brigade of Gurkhas to honor and remember these outstanding army units which served and are still serving the British Empire with utmost dedication, sincerity and extraordinary courage. KHHI gives this kukri a unique look together with its beautiful shape, well balanced and effective body. 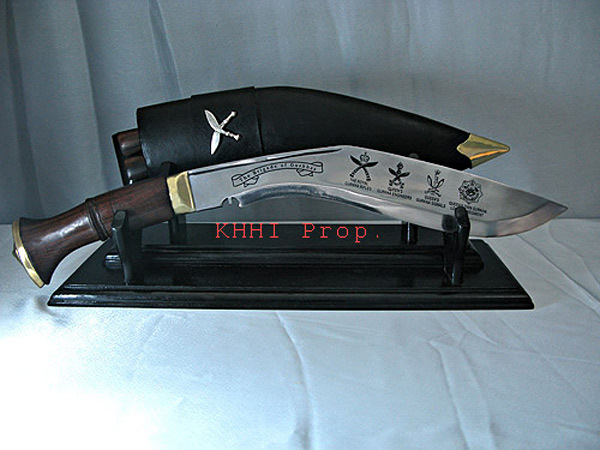 This 11 inch long kukri’s already glorious image is boosted with the display of the regiments of the “Brigade of Gurkhas” in its blade done intentionally to pay tribute and to honor these distinguish and commendable Gurkha Regiments and its fellow comrades, in memory of the old and new army units that served the British and the world to its best ability and highest capability. Unlike the regular World War, the scabbard carries a “Cross Kukri” badge fitted at the belt loop. The cross kukri symbol has been a unique and distinct Gurkha trademark and icon since its origin centuries back. 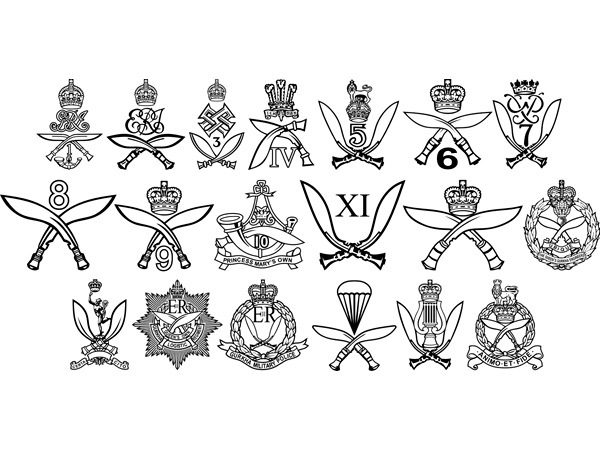 The famous insignia symbolizes the brave Gurkhas. The Brigade of Gurkhas set kukri also comes with a beautiful black colored foldable double wooden stand as shown in the picture. 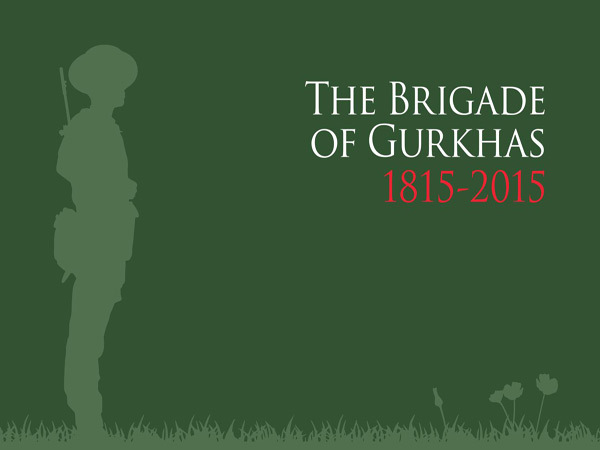 “The Brigade of Gurkhas set” is for those who admire and appreciate the legendary units of the Brigade of Gurkhas of the British Army. A must displayer for all those true and loyal Gurkhas supporters and well wishers to pay tribute and to honor the commendable deeds of the brave Gurkhas from Nepal. One side of the “The Brigade of Gurkhas set” has new regiments and the other has old (disbanded) regiments displayed of the legendary “Brigade of Gurkhas” regiments of British Army. After India’s independence in 1947 mobilization for war-raised army units took place in which some of the Gurkha regiments (2nd, 6th, 7th and 10th) were integrated into the British Army under Britain flagship as the “Brigade of Gurkhas”. Since its simulation into the British Army the Brigade of Gurkhas has seen many changes in which QGS, QGE and QOGLR were raised to serve the army’s and government need. Later the four Gurkha infantry regiments 2nd, 6th, 7th and 10th were amalgamated to the RGR in 1994 in Hong Kong. 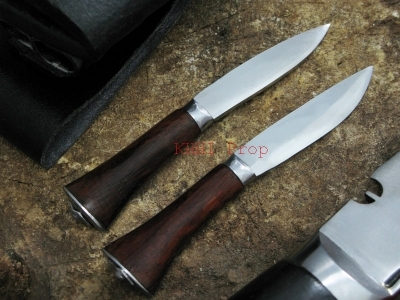 Following is the list thats included in this kukri set . this is a well made 11 inch model which has a great wooden handle and great for occasion.